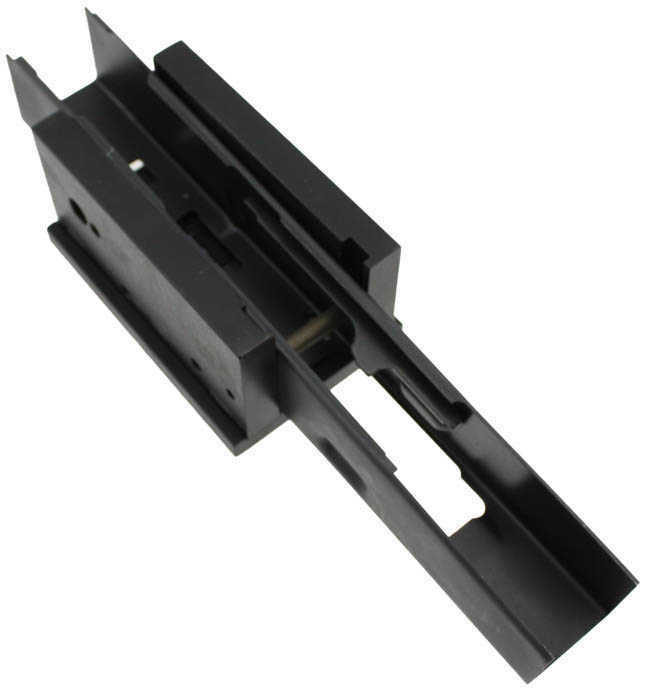 This tool is designed to be used with 80% receivers with OR without rails and center supports installed. 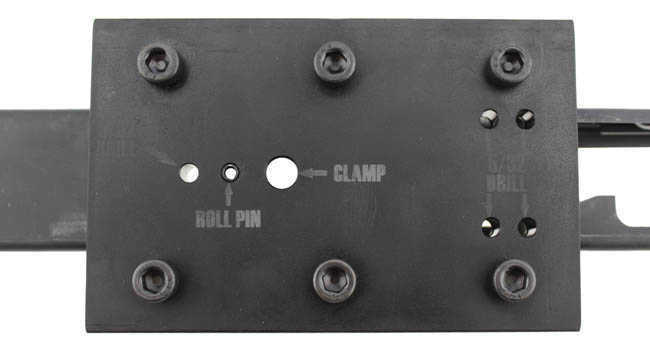 The bottom of the fixture is also setup to be used if your receiver has trigger humps. The fixture is machined and heat treated to last through the drilling of several blanks. 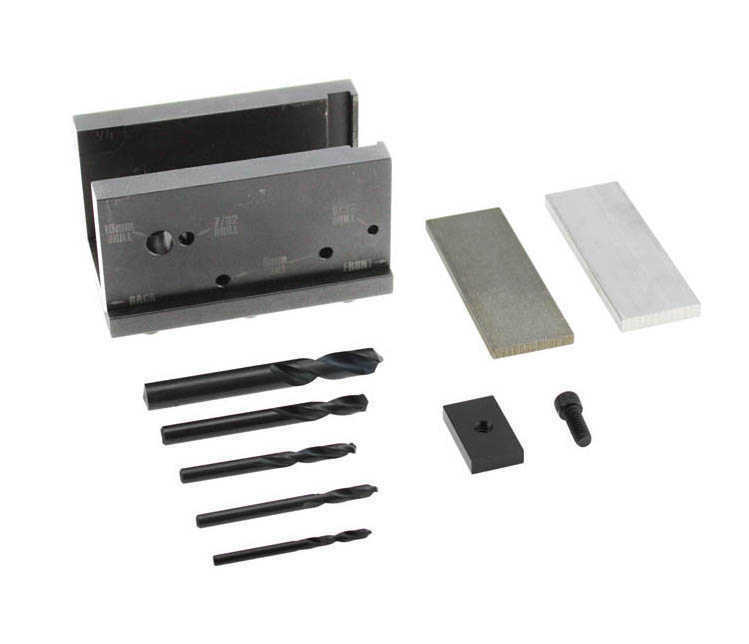 Tool has a black oxide coating and the holes are laser marked with the proper drill bit sizes. The stop pin for the rear of the trigger opening is the key to getting it aligned in the fixture. After that it's just as simple as putting in the receiver support and setting the fixture on the aluminum plate on your drill press. If you purchase the V-4 1mm Drilling fixture you can also buy the 1.5mm base separately and be able to swap between the two bases for drilling 1mm and 1.5mm 80% receivers. For the 1.5mm base please search A1-51. You must select weather you want the 1mm drilling fixture or the 1.5mm drilling fixture.